“Letter to My Paw Pal” post. The LazyPit Bull’s 52 Snapshots of Life Challenge. 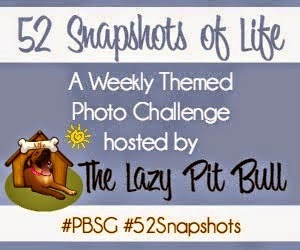 If the idea of a photo challenge sounds like fun, why don’t you accept The Lazy Pit Bull’s 52 Snapshots of Life? Wishing her sweet dreams. Have a fabulous Friday. 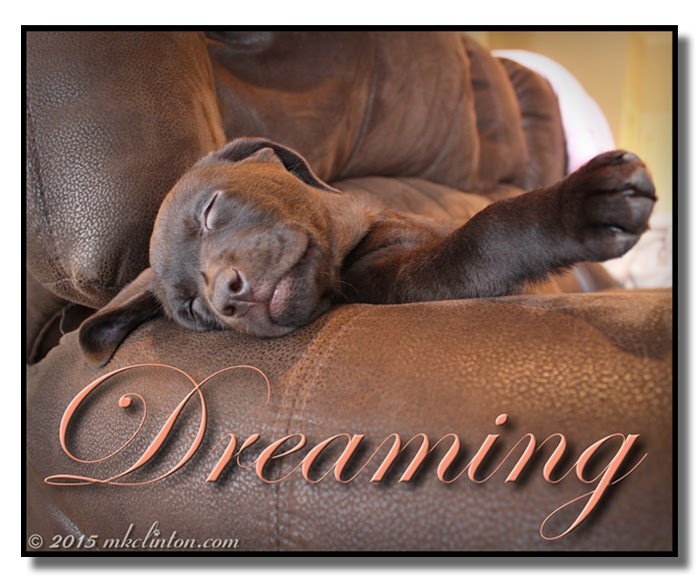 Sleeping puppies are so very cute! The chair matches your fur purrfectly. We are not sure why humans like taking our pictures when we are trying to sleep. Oh I just can't get over how sweet that pup is! What a fantastic photo of Paisley dreaming away! Happy Parading!!! Awww. We'll whisper so we don't wake her. Aren't sleeping puppies the cutest! OMD...we are going to have to put Mama in a sound-proof box, with all these new pups in Blogville her "sqeeeeeee-ker" is out of control!! What a cutie that Paisley is!! Arty is looking forward to getting to know her in the Heart2Heart Youth Game Room! Just like a little angel! PS - Please look past any weird posts from us as they are currently being stolen from us and posted to an illegal blog. Puppies are just so cute when they are sleeping! Paisley really seems to know how to make herself comfortable, and it looks like she is having a great dream! PURRfect for the Snapshot word!! !